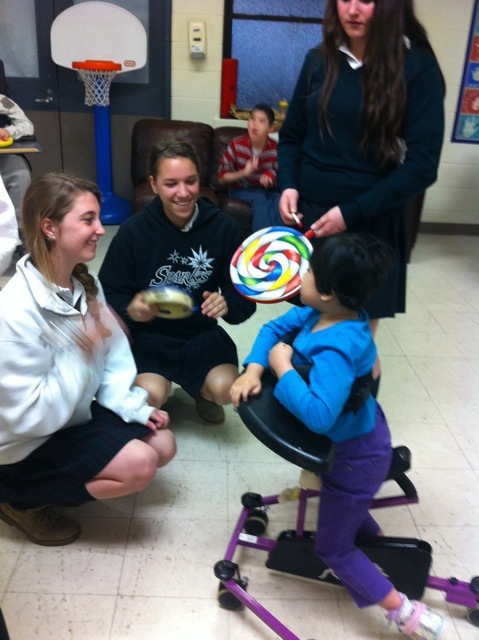 Operation Kids Care is an awesome program that all of our St. Pat’s students are involved in. Each class has a service project that it accomplishes during the course of the school year. 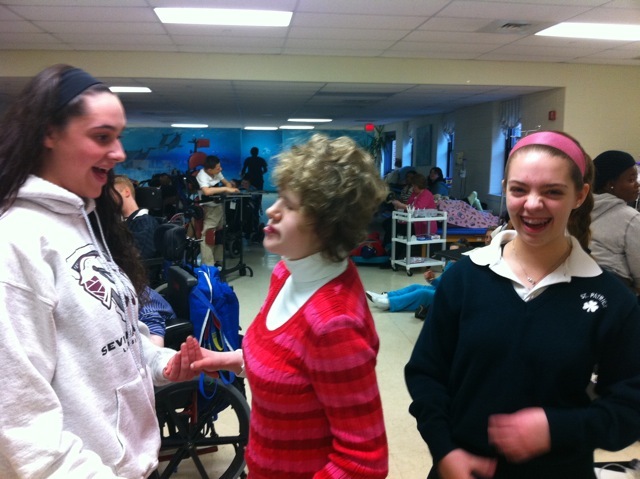 The pictures here show one of our 8th grade classes interacting with students from St. Edmond’s Home for Children in Bryn Mawr, PA. St. Edmond’s provides comprehensive care for 40 boys and girls with mental retardation, cerebral palsy and various genetic disorders. 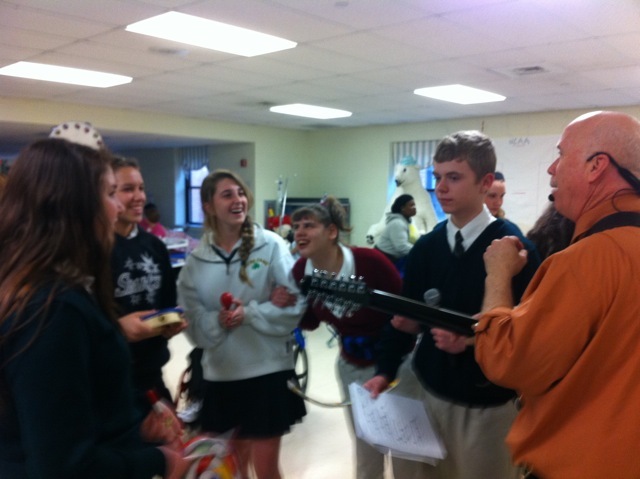 Our 8th graders interacted with students during a music class and also helped with the monthly birthday party. 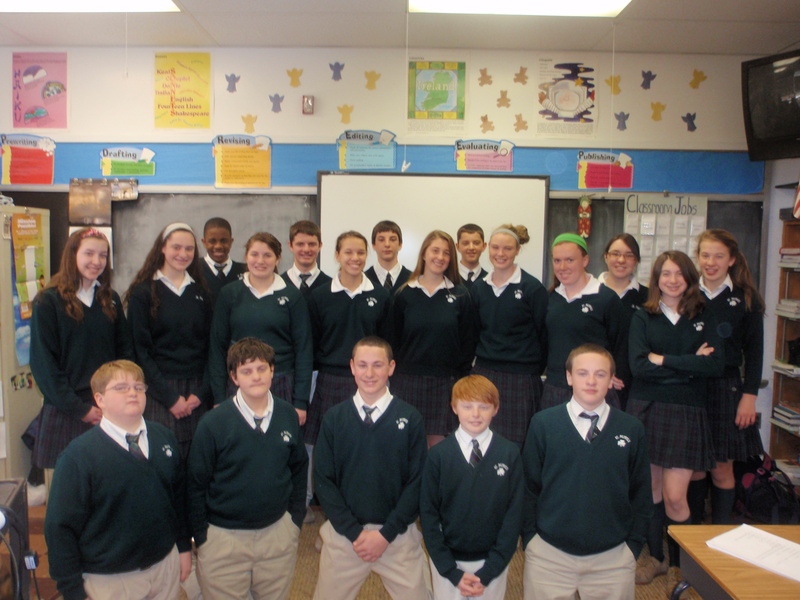 Staff members from St. Edmond’s commented on how helpful and engaging our 8th graders were during their visit. They said that our kids were very welcoming and warm. Way to go 8th grade! Go Warriors! St. Pat’s Has the Nicest Kids! Not only am I the luckiest person in the world because I am the principal at St. Patrick’s School, I am also the luckiest person because I have the wonderful privilege of teaching one class of Pre-Algebra every day. It is the best part of my day because I am with my favorite age group – 8th grade – and I love being with the kids and learning along with them. One of the outstanding things about teaching this group of kids is that every day at the end of class – as the are rushing out to eat lunch, chat with a friend or make plans for after school – so many of them say “thank you” on their way out. This has never happened to me before and it is so wonderful to hear! Many of them say it every day and it warms my heart to know that our students are polite and courteous! Great job to them and to their parents! Go Warriors! How Do Kindergarten Teachers Do It? I had the awesome opportunity to teach Mrs. Keefer’s Kindergarten class this afternoon. We read a story on bullying, we colored some shamrocks, had a birthday party, played a consonant-vowel-consonant game on the Smartboard, completed a penmanship assignment, went to the computer lab and played outside for a few minutes – all in 2.5 hours – WOW! – that was a lot and I was exhausted when I left the room. I have always had the utmost respect for primary grade teachers – it increased a hundred fold this afternoon! God Bless them! !